It isn’t too early to start thinking about the holidays! We have some great deals on Hilton timeshare resales that will give you a great vacation for Christmas or New Year’s every year at a price that’s at least 50% less than buying from Hilton direct! Hilton Flamingo – Christmas Week – Hilton Grand Vacations Club at the Flamingo Hilton Las Vegas is an extraordinary leisure oasis in the heart of a world-class casino resort. It is ideally positioned in the extensive 15-acre Flamingo property at the most famous corner of the Las Vegas Strip with Bally’s, Caesars and the Bellagio, this convenient Las Vegas hotel is a resort within a resort. The grounds offer an elegant central courtyard, cascading waterfalls and lush tropical gardens. 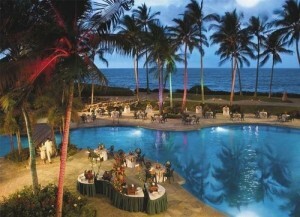 Hilton Waikoloa – Christmas Week – Located along the sunny Kohala Coast on the Big Island of Hawaii, the Hilton Waikoloa Beach Resort offers a slice of paradise. Tastefully appointed suites blend a casually elegant tropical style with distinctive amenities and furnishings. Hilton Kings’ Land – Christmas Week – Hilton Kings’ Land, the newest Hilton Grand Vacations Club Resort on the famed Kohala Coast of the Big Island, offers expansive fairway views and stunning Waikoloa panoramas. Carved out of an ancient lava field, this 112 acre oasis occupies a superb location directly between two of Hawaii’s finest golf courses. In this spectacular region of Hawaii, perpetually sunny skies, dramatic vistas and world class amenities combine to create one of the world’s most desirable vacation destinations. Hilton Hawaiian Village – New Years Week – Set aside a backdrop of stunning natural wonders, Hilton Hawaiian Beach Resort & Spa in Honolulu provides visitors with spectacular amenities and an unrivaled position in the heart of Paradise. 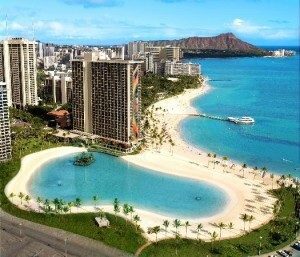 The island of Oahu invites you to their tropical home. Hilton Waikoloa – New Years Week – Located along the sunny Kohala Coast on the Big Island of Hawaii, the Hilton Waikoloa Beach Resort offers a slice of paradise. Tastefully appointed suites blend a casually elegant tropical style with distinctive amenities and furnishings. If you’re interested in any of these holiday specials or would like to find out about any of our other great deals, contact us by email or call us at 800-996-2001. We are the trusted resale leader and will get you the best price!